Jian Shi Cortesi is a Portfolio Manager of Asian equities and among others responsible for the GAM China Evolution Fund. Prior to joining GAM Group in May 2010, she worked in research and portfolio management of Asian equities for a regional wealth management firm in the United States. She started her career as an assistant editor at Dow Jones in Beijing. 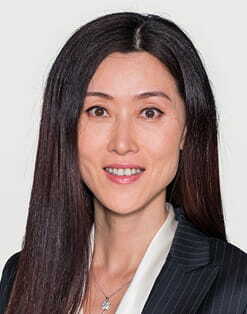 Jian Shi Cortesi holds a Bachelor degree in International Business from Beijing Foreign Studies University in China and an MBA from the University of Tennessee in the United States. She is a CFA Charterholder and a Certified FRM (Financial Risk Manager) holder. She is based in Zurich. The coverage of China A shares in MSCI benchmark indices is set to increase substantially following a recent announcement. We explore how Chinese equities have become increasingly accessible to foreign investors in recent years and GAM Investments’ Jian Shi Cortesi gives her reaction to the latest development. As we enter the Chinese New Year of the Pig, Jian Shi Cortesi, portfolio manager at GAM Investments, believes that Chinese stocks could bring prosperity in 2019 but warns careful stock selection will be key. Outlook 2019: Where else would you invest? We asked a number of our fund managers where they would invest in 2019 if they could not invest in their own asset class. We asked a number of our fund managers to outline the post-peak environment and consider what it means for their respective asset classes in 2019. China’s burgeoning middle class is creating huge growth in consumption in areas such as luxury goods, cars and beverages. This is having an impact not just domestically but across global markets. GAM’s investment managers discuss the part China is playing within their respective area. Jian Shi Cortesi, portfolio manager for China and Asia equity strategies, takes a look at China’s transition to a consumer-driven economy and its significance for the world’s second-largest economy. GAM’s investment experts share insights on how active management adds value in their specialist fields. Three years on from the launch of the Shanghai stock connect programme, which allows investors outside China to access locally listed shares, we asked GAM’s Jian Shi Cortesi what the impact has been on her strategy. Jian Shi Cortesi, who focuses on opportunities created by the transformation in China’s economy, believes there is significant scope for the country’s equity markets to play catch up following several years of relative underperformance.